Prosecutors and judges show little patience for those who repeatedly drive while intoxicated. 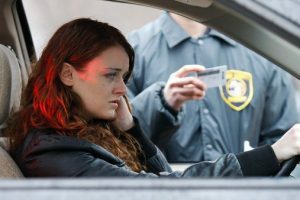 Illinois penalties can be severe for a felony “aggravated” DUI. It is important to understand, however, that you may have options for fighting the arrest. If you have been arrested for a repeat offense of driving under the influence then it is important that you contact a lawyer as soons as possible. As a Peoria felony DUI attorney, I handle such matters and strive to provide the highest level of service. Contact my office today to schedule an initial consultation. Such instances will lead to one being charged with a Category 4 felony, which carries a sentence of one to three years. The defendant will also face a suspension of their driver’s license. Felony DUI charges begin with prosecutors either gaining an Indictment or holding a preliminary hearing. If the defendant invokes their speedy trial right then the case will be resolved within 160 days if the accused is out of custody and 120 days if they are in custody. It will be possible for an attorney to challenge the arrest itself. If law enforcement lacked reasonable suspicion to stop the vehicle then the defendant’s Fourth Amendment rights may have been violated. Also, if evidence was not handled properly or if toxicology testing equipment was not properly calibrated then it may be possible to exclude other evidence from trial. Such exclusion would often end the case. Challenging the arrest can be complicated and it is suggested that you retain counsel to do so. I am a Peoria criminal defense lawyer who handles felony DUI cases on behalf of area residents. I will work quickly to obtain all available evidence and determine your possible defenses. If feasible I will file a Motion to dismiss the case due to constitutional violations and law enforcement officers will be aggressively questioned at an evidentiary hearing. I will also file all other available challenges on your behalf. I am a former prosecutor with over twenty years of legal experience and I will apply my understanding of our local legal system to your case. I understand that you are facing a serious situation and my firm will take it seriously. If you need to speak with an attorney then contact my firm today. One of the greatest frustrations people have with the legal profession is that many lawyers do not return phone calls or stay in contact with their clients. I try to be different from other attorneys. I regularly provide my cell phone number, quickly returns phone calls, and I make myself available to answer questions. My office is founded on the idea that everyone is entitled to the highest level of representation and I apply this approach to every case I handle.